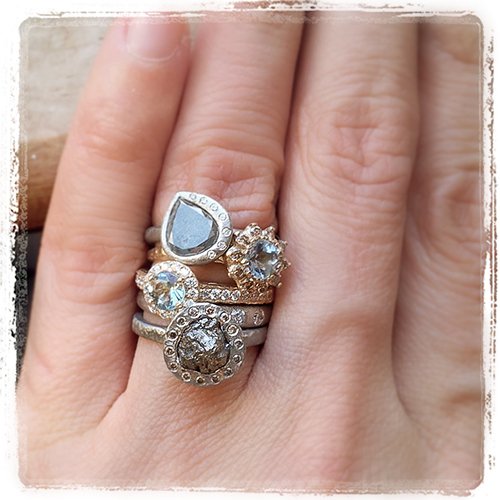 The ANOUK version of a vintage rosetta ring. 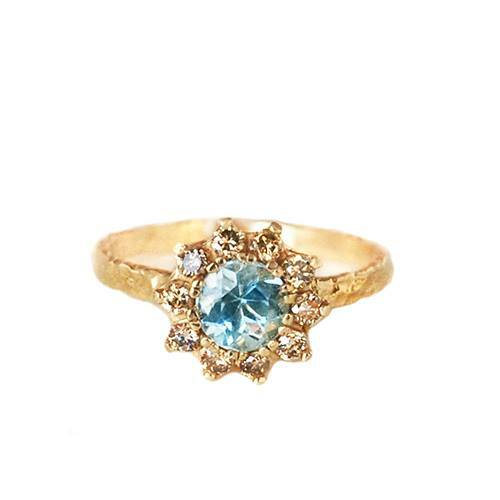 Aquamarine and champagne diamonds in gold. What do you think of this new direction?